Yesterday I was in a meeting hammering out some details for what will be the volunteer event of the year here at the Summit. 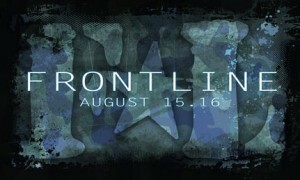 Go ahead and mark your calendar for August 15-16. This Friday night / Saturday morning event is for everyone who serves in any capacity at the Summit, or for anyone who is thinking about serving. I promise, you do not want to miss this. More details coming soon…stay tuned. The first one starring Stephen Lair just about made the audience pee in their pants… and not just the old people and babies! I am already mourning the fact that we will be at the beach that weekend.